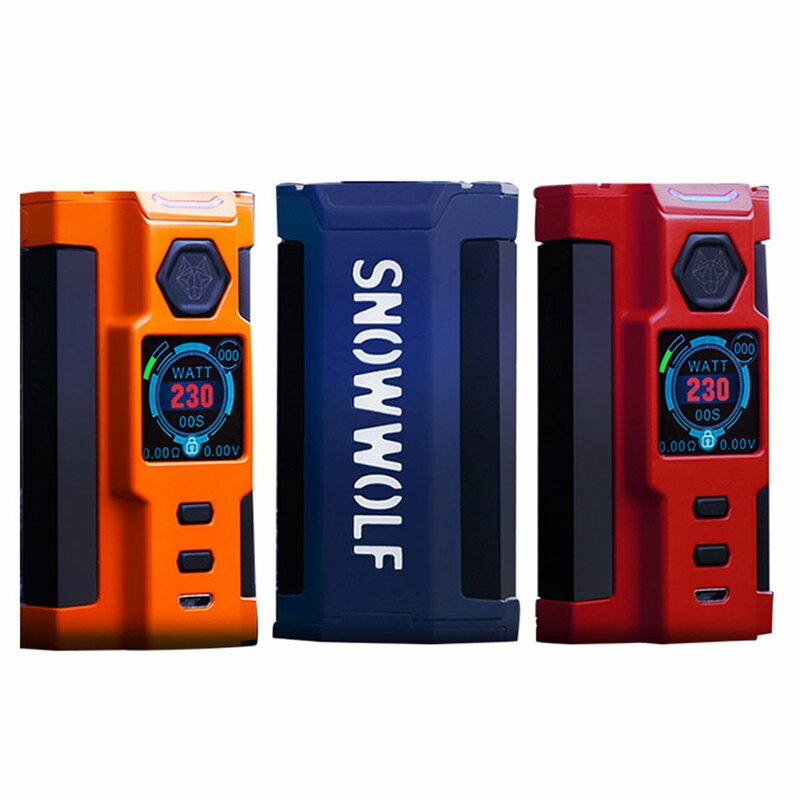 The Snowwolf VFENG-S 230W TC Box Mod is a futuristic 230 watt mod designed with a robotic and technological sense in mind. The VFENG-S also features new vibrant colors to choose from. The VFENG-S can fire up to 230 watts and supports temperature control with nickel 200, titanium and stainless steel wire. The VFENG-S features a huge 1.3" TFT color display with a unique operating interface. The VFENG-S features a front and back panel LED light display with nine different color LED lights to choose from. You can choose from normal, loop or breathing transitions where the LED lights cycle through all the colors. You may also choose to keep the LED light on or off at all times. The VFENG-S requires (2) high amp 18650 batterie s (sold separately) which may be charged via the micro USB charging port. Dimensions: 3-7/16" x 1-13/16" x 1-1/4"